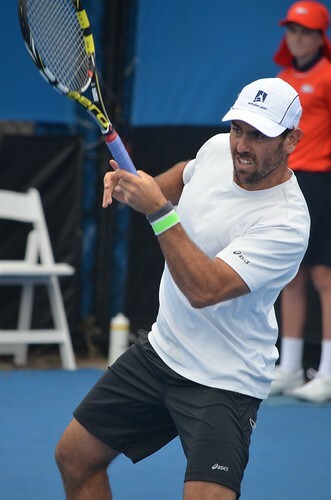 Fourteen American men and four American women participated in the 2015 Australian Open qualifications, but only three successfully made it to the main draw. 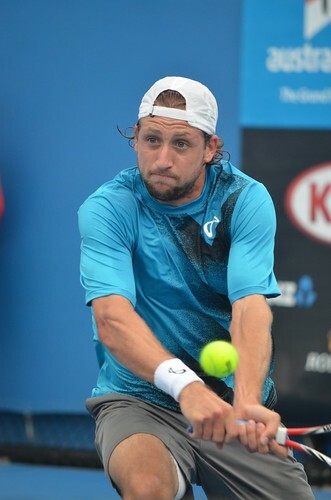 Thirty-six year old Michael Russell, who declared 2015 as his last professional season, 27 year old Tim Smyczek, and the former Georgian representative, Anna Tatishvili, won three matches for a chance to compete with the best. Nine men and three women claimed 1st round victories, six advanced to the final qualifying round including Jarmere Jenkins, Alex Kuznetsov, Chase Buchanan, and Alexa Glatch. In the main draw, Smyczek draws wildcard and 2012 Junior AO winner, Luke Saville of Australia. Russell gets No. 20 David Goffin (BEL) and Tatishvili opens her campaign against 44 year old Japanese, Kimiko Date-Krumm. USA has a total of 24 players (7 men and 17 women) in the singles main events, spearhead by John Isner and World No. 1 Serena Williams. Defeated Denys Molchanov (UKR), Thiemo de Bakker (NED), and Liam Broady (GBR) to qualify for the main draw. Defeated Kimmer Coppejans (BEL), Marc Polmans (AUS), Maxime Authom (BEL) to qualify. Lost in the final qualifying round to German Tim Puetz, defeated Marco Cecchinato (ITA) and fellow American Rajeev Ram in previous rounds. 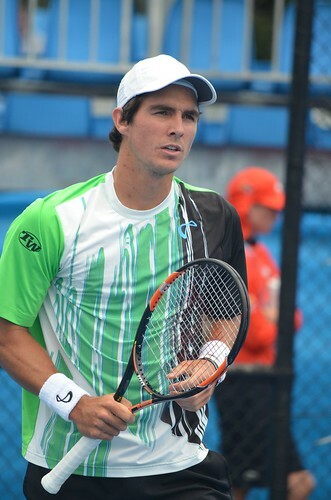 Lost in the final qualifying round to Czech Jan Hernych, defeated Gerald Melzer (AUT) and Canada's Frank Dancevic in previous rounds. Lost in final qualifying round to Yuki Bhambri (IND), defeated Roberto Marcora (ITA) and Mate Delic (CRO) in previous rounds. Lost in the second qualifying round to Michal Przysiezny (POL), defeated Enrique Lopez-Perez (ESP) in the first round. 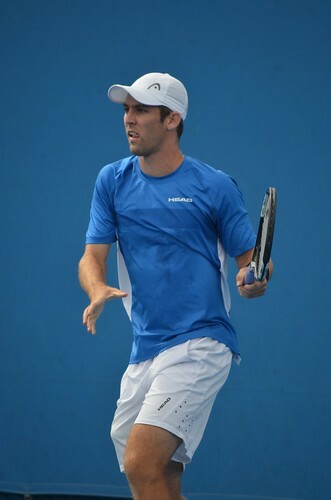 Lost in the second qualifying round to Vincent Millot (FRA), defeated Ryan Harrsion in the first round. 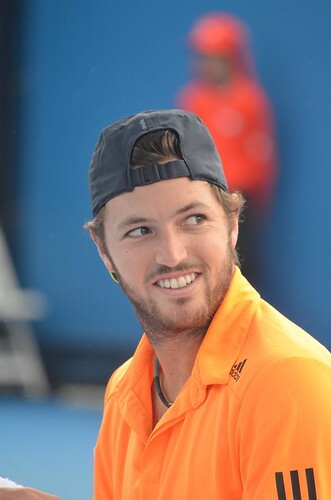 Lost in the second qualifying round to Liam Broady (GBR), defeated Maverick Banes (AUS) in the first round. 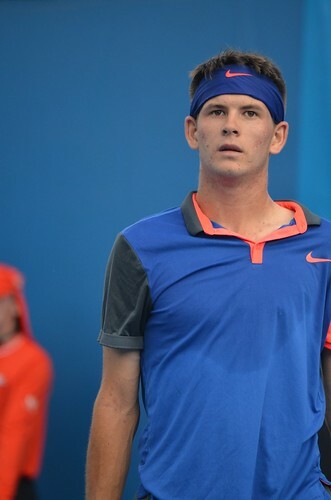 Lost in the second qualifying round to Brit Kyle Edmund, defeated Somdev Devvarman (IND) in the first round. Lost in the first qualifying round to Wayne Odesnik. Lost in the first qualifying round to Hiroki Moriya (JPN). Lost in the first qualifying round to Alexander Kudryavtsev (RUS). Lost in the first qualifying round to Yuichi Sugita (JPN). Lost in the first qualifying round to Bradley Klahn. Defeated Johanna Konta (GBR), Akgul Amanmuradova (UZB), and Katarzyna Piter (POL) to qualify. Lost in final qualifying round to Renata Voracova (CZE), defeated Lourdes Dominguez-Lino (ESP) and Jessica Moore (AUS) in previous rounds. Lost in the second qualifying round to Richel Hogenkamp (NED), defeated Maddison Inglis (AUS) in the first round. 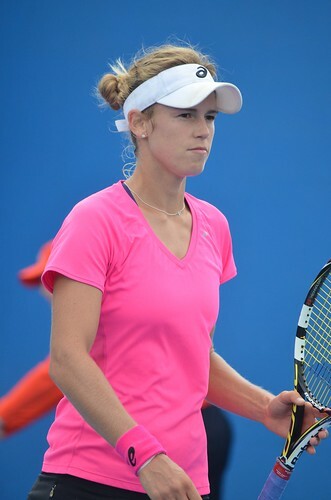 Lost in the first qualifying round to Yulia Putintseva (KAZ). Kyle Edmund - The 20 year old Brit's first slam main draw outside of Wimbledon. Elias Ymer - The 18 year old is the first Swede in the Singles slam main draw since 2011 Wimbledon. 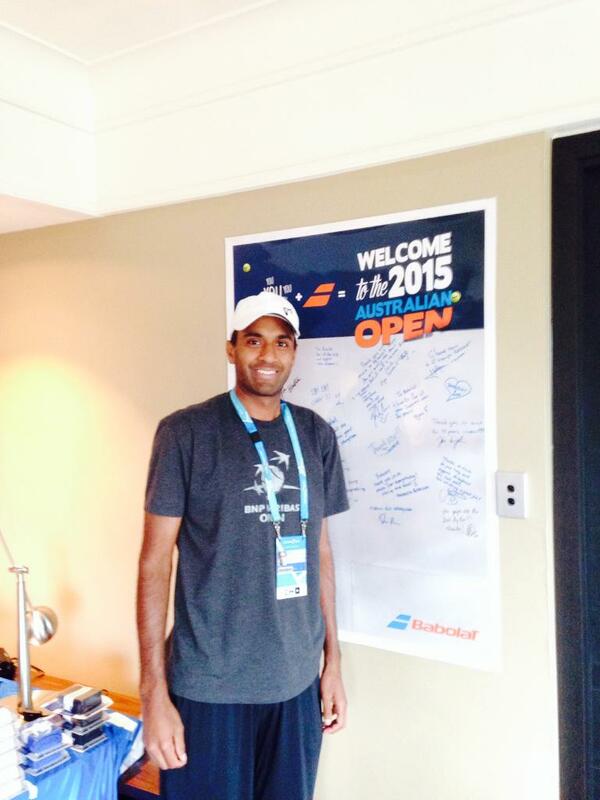 Yuki Bhambri - Grand slam debut for the former World Junior No. 1 and 2009 Junior Australian Open champion.